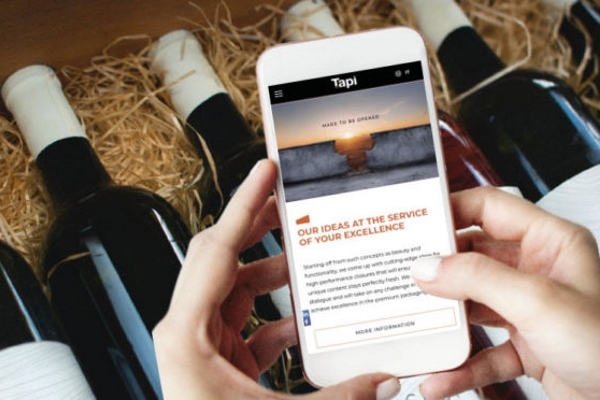 Beverage closure firm Tapi has agreed to work with Thinfilm on near-field communication (NFC) closures for brand protection and consumer engagement. Italy-based Tapi is a major supplier of synthetic, metal and wood closures for beverages as well as other products such as oils and cosmetics – including ranges that guard against counterfeiting – but the agreement with Thinfilm marks its first major foray into connected closures. The tags sense the 'sealed' or 'opened' state of the product or package and wirelessly transmit that status information, along with a unique identifier that can be used for authentication, to any NFC-enabled device such as a smartphone. Thinfilm tags can also be used to create interactive packaging content. A second closure type, based on the company’s SpeedTap tag, is designed to allow brands to open a direct channel to customers, once again via their smart device. Thinfilm has worked with other specific beverage brands to develop HFC-enabled closures for authentication – for example signing deals with Ferngrove Wines and Diageo for Johnnie Walker whiskey a few years ago – but the agreement with Tapi means that the two companies can now work together to provide off-the-shelf closures to a broad range of customers. Tapì and Thinfilm say they are now working with premium brands to integrate NFC-integrated closures into their bottling and/or packaging production lines. “Counterfeit products not only cause worldwide losses in the sector, but they are a big health problem,” said Tapì CEO Roberto Casini.